Numerus clausus ("closed number" in Latin) is one of many methods used to limit the number of students who may study at a university. In many cases, the goal of the numerus clausus is simply to limit the number of students to the maximum feasible in some particularly sought-after areas of studies. However, in some cases, numerus clausus policies were de facto religious or racial quotas, both in intent and function. The numerus clausus is currently used in countries and universities where the number of applicants greatly exceeds the number of available places for students. This is the case in many countries of continental Europe. Students in much of Europe choose their field of specialization when they begin university study, unlike students in North America, who specialize later. Fields such as medicine, law, biology, dentistry, pharmacology, psychology and business administration are particularly popular and therefore harder to gain admittance to study. In November 2002 the Brazilian government passed Federal Law 10.558/2002, as known as the "Quota Law." The law allowed for the establishment of racial quotas at public universities. In 2012 the Supreme court of Brazil unanimously upheld the law. The numerus clausus is currently used in Germany to address overcrowding and protect specific occupations—while the number of students has increased by 100% to two million since 1980, the number of professors has increased by only 25% in the same time period. With successful completion of the academically oriented and state-approved secondary school (usually graduation from a Gymnasium or completion of the highest of the various degrees offered by a Gesamtschule, sometimes graduation from a Kolleg, a Volkshochschule or a Berufsoberschule), students take the so-called Abitur exams. After this is completed, they receive a document that confirms their passing and lists their grades. This is then used to obtain either an implicit or an explicit permission to study at a university. The German state in which an Abitur is granted must honor the permission to study at a university. There are several quotas at the German universities. in the rest of cases the college may pick its students. It may apply different criteria. On a federal level, each year 51 percent of the available university places in a given field of study, e.g. biology, are distributed among those who have the best Abitur marks, 25 percent of the places are awarded to applicants who are on a waiting list, and the following 24 percent are given to applicants who fulfill the so-called "Hochschulkriterium" (literally "high school criterion", a "Hochschule" in German means a university-like institution, not a high school in the U.S. sense, for example). The Hochschulkriterium is determined by the college or university itself, it may be based on interviews, written applications, Abitur marks in specific classes etc. On the local level, applicants are distributed to the several universities. Effectively, about 25 percent are assigned to the university they want to attend (according to a list of preferences). The rest are given to applicants who have reasons to study in a specific place, e.g. if they have to care for children or if they are disabled. The Finnish system of implementing the numerus clausus provides an interesting comparison to the German model. In Germany, the main weight of the student selection lies on the Abitur grades (i.e. high school diploma). In Finland, which has a similar nationwide final exam, the matriculation examination (Finnish ylioppilastutkinto), the majority of student selections are based on entrance exams. As every university has internal autonomy, the entrance procedures vary widely. Most degree programs consist of a single major subject and have their own entrance procedures. Typically, the syllabus of the entrance exam consists of several basic textbooks in the chosen area. Typically, the student must take a written exam consisting of open-ended questions. In addition to the exam score, the applicant may also receive points from the high school diploma grades and from previous experience and hobbies. However, nearly all programs have a quota in which the score is calculated solely on the basis of the entrance exam. The quota gives a second chance to students who have fared badly in the matriculation exam or have only a vocational diploma. Previously, the matriculation exam certificate was a mandatory requirement de jure, but currently it is only so de facto. The student is almost never required to file a statement of intent, recommendations or similar personal documents. Interviews are only used in the fields of education and drama. In education, the purpose of the interview is mainly to remove applicants of a totally unsuitable character. The extensive use of standard-form applications and written exams is explained by the fear of personal bias introduced by more personal selection methods. However, the written exams usually consist of open-ended questions requiring the applicant to write an essay or solve problems. Multiple choice tests are uncommon. In fields where the competition for study places is less fierce, the selection system resembles the German model. In universities, this is especially the case with the engineering and natural science programs. It is relatively easy to be accepted in these fields—about one-third of the study places in technology are awarded on the basis of the matriculation exam. The rest of the students are admitted on the basis of an entrance exam. After receiving a study place, the student must accept it in writing on the pain of forfeiting the place. In case the students receive more than one study place, they must select one. During the year, one person may accept only a single study place in an institution of higher education. The system is enforced through a national database on student admissions. The universities in the western, French-speaking part of Switzerland did not decide to introduce a numerus clausus. Instead, these universities provide unrestricted access to the first-year curriculum in medicine; and the best first-year students are allowed to further their medical studies at the same or at another university. In other popular faculties like psychology or journalism, there are also aptitude tests—but they concern only a single university. 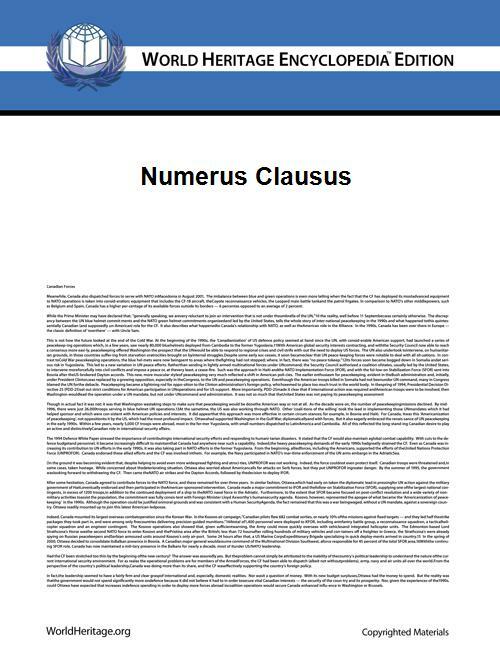 Numerus Clausus is also used currently in Ireland. Trinity College, Dublin ( University of Dublin ) uses the system in its admission for Medicine and Veterinary Medicine. Before the Second World War, the limitations in eastern European countries were usually based on the religion and/or perceived race of the student, specifically limiting the number of students of Jewish origin. See 'in Hungary' and 'in Poland' sections below. This limitation took the form of total prohibition of Jewish students, or of limiting the number of Jewish students so that their share in the student population would not be larger than their share in the general population (Jewish quota). It was introduced with a view to restricting Jewish participation in higher education. The Hungarian Numerus Clausus was introduced in 1920. Though the text did not use the term "Jew", it was nearly the only group overrepresented in higher education. The policy is often seen as the first Anti-Jewish Act of twentieth century Europe. Its aim was to restrict the number of Jews to 6%, which was their proportion in Hungary at that time; the rate of Jewish students was approximately 15% in the 1910s. In 1928—because of the pressure of liberal capital and League of Nations—a less explicit version of the act was passed. In the period of 1938–1945 the anti-Jewish acts were revitalised and eventually much worsened, partly due to German Nazi pressure, and in hope of revising the Treaty of Trianon with the help of Germany. Many Hungarian scientists such as Edward Teller emigrated partly because of the Numerus Clausus. Poland tried to introduce a formal Numerus Clausus law in 1923, but faced objections from the League of Nations. However a Numerus Clausus was unofficially introduced in 1937 by some universities and the share of Jewish students was limited to 10 percent, which was the proportion of Jews in the population of Poland (compared to 20–60 percent before regulation). The official reason for the policy was that during the Russian Tsar's rule, Poles were denied education in Polish, and the schools were badly funded. The advocates of the solution pointed out that the limit would balance the chance to enter university of all nationalities in Poland (Polish, Lithuanian, Belorussian, Ukrainian, German etc.). The other reason given by the supporters of the idea was that it was an attempt to equal the chance of children from countryside families who had very limited access to education to the chance of the children of Jewish families living in the towns and cities. This was because, the Polish intelligentsia of Jewish origins formed at least 40–50 percent of the whole Polish educated class. Similar policies, but based on preferential treatment of peasant children and working-class children, were introduced after World War II, with significant success. The children from working-class families had preference over students from the intelligentsia and bourgeois classes. Although never officially legislated, between 1918 and the 1950s a number of private universities and medical schools in the United States introduced numerus clausus policies limiting admissions of students based on their religion or race to certain percentages within the college population. One of the groups affected by these policies was Jewish applicants, whose admission to some New England and New York City-area liberal arts universities fell significantly between the late 1910s and the mid-1930s. For instance, the admission to Harvard University during that period fell from 27.6% to 17.1% and in Columbia University from 32.7% to 14.6%. Corresponding quotas were introduced in the medical and dental schools resulting during the 1930s in the decline of Jewish students: e.g. in Cornell University School of Medicine from 40% in 1918–22 to 3.57% in 1940–41, in Boston University Medical School from 48.4% in 1929–30 to 12.5% in 1934–35. During this period, a notable exception among U. S. medical schools was the medical school of Middlesex University, which had no quotas and many Jewish faculty members and students; school officials believed that antisemitism played a role in the school's failure to secure AMA accreditation. The most common method, employed by 90% of American universities and colleges at the time to identify the "desirable" (native-born, white, Protestant) applicants, were the application form questions about their religious preference, race, and nationality. Other more subtle methods included restrictions on scholarships, rejection of transfer students, and preferences for alumni sons and daughters. Legacy preference for university admissions was devised in 1925 at Yale University, where the proportional number of Jews in the student body was growing at a rate that became alarming to the school's administrators. However, even prior to that year, Yale had begun to incorporate such amorphous criteria as 'character' and 'solidity', as well as 'physical characteristics', into its admissions process as an excuse for screening out Jewish students; but nothing was as effective as legacy preference, which allowed the admissions board to summarily pass over Jews in favor of 'Yale sons of good character and reasonably good record', as a 1929 memo phrased it. Other schools, including Harvard, soon began to pursue similar policies for similar reasons, and Jewish students in the Ivy League schools were maintained at a steady 10% through the 1950s. Such policies were gradually discarded during the early 1960s, with Yale being one of the last of the major schools to eliminate the last vestige with the class of 1970 (entering in 1966). While legacy admissions as a way of screening out Jewish students may have ceased, the practice of giving preference to legacies has continued to the present day. In the 1998 book The Shape of the River: Long-Term Consequences of Considering Race in College and University Admissions, authors William G. Bowen, former Princeton University president, and Derek Bok, former Harvard University president, found "the overall admission rate for legacies was almost twice that for all other candidates." The religion preference question was eventually dropped from the admission application forms and informal numerus clausus policies in the American private universities and medical schools were abandoned by the 1950s. ^ Reis, Arthur H., Jr. "The Founding" (PDF). Brandeis Review, fiftieth Anniversary Edition. Retrieved 2006-05-17. , pp. 42–3: founder's son C. Ruggles Smith quoted: "From its inception, Middlesex was ruthlessly attacked by the American Medical Association, which at that time was dedicated to restricting the production of physicians, and to maintaining an inflexible policy of discrimination in the admission of medical students. Middlesex, alone among medical schools, selected its students on the basis of merit, and refused to establish any racial quotas"